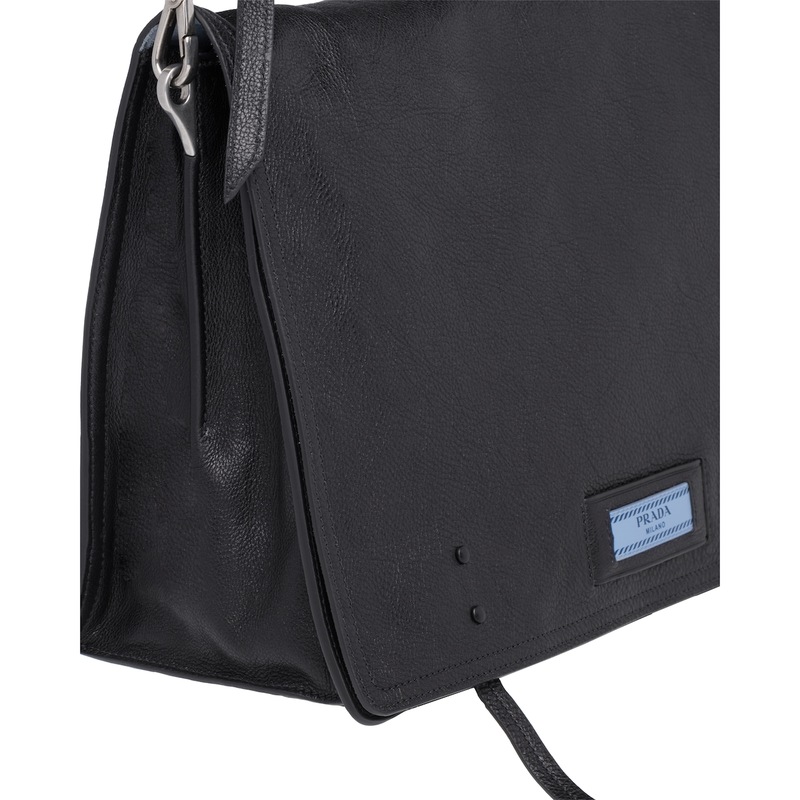 A Prada Etiquette bag with contrasting color Etiquette logo. 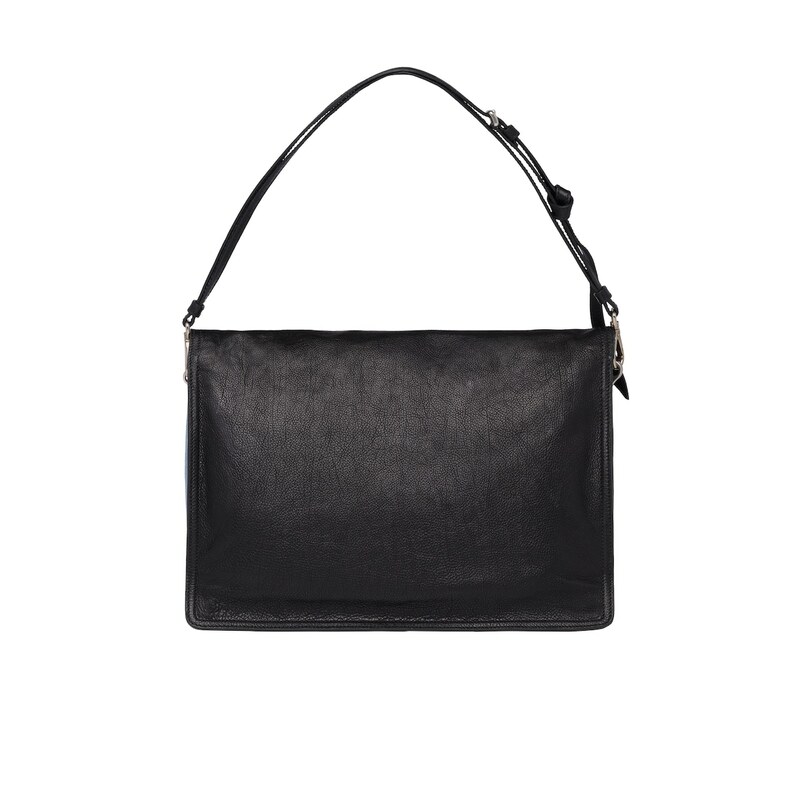 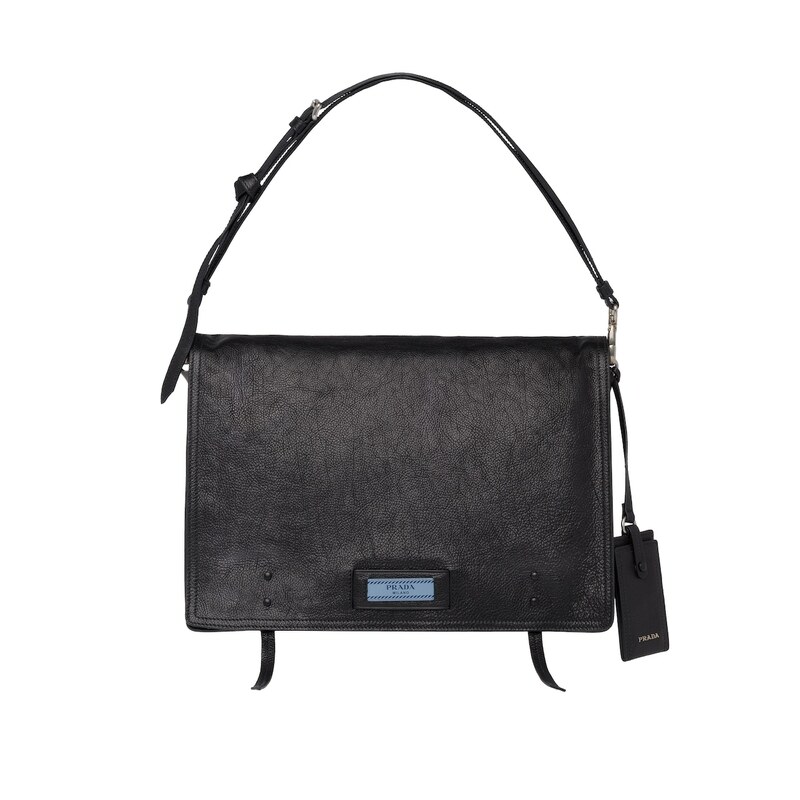 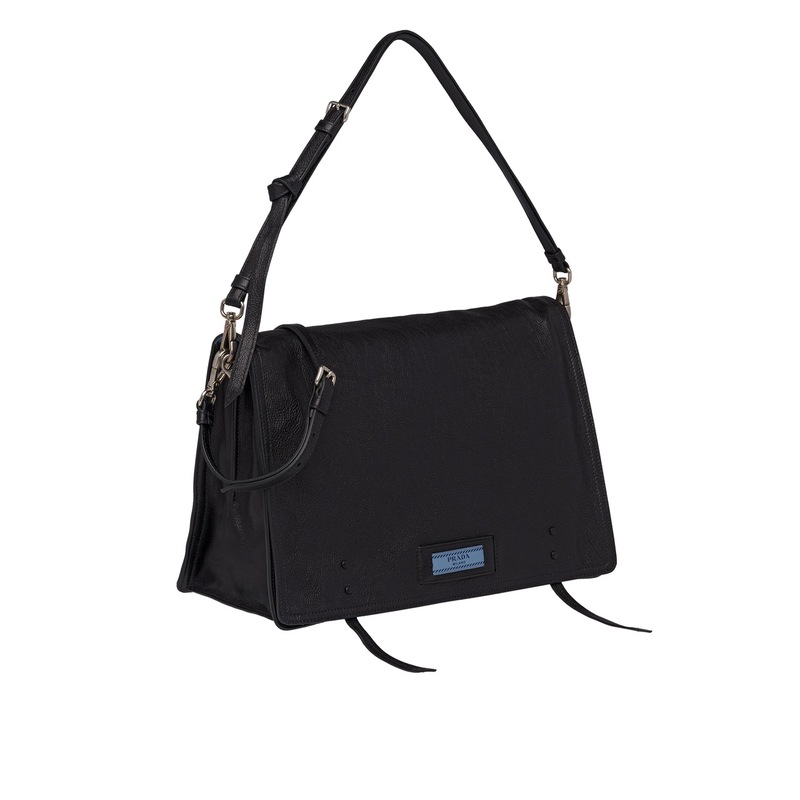 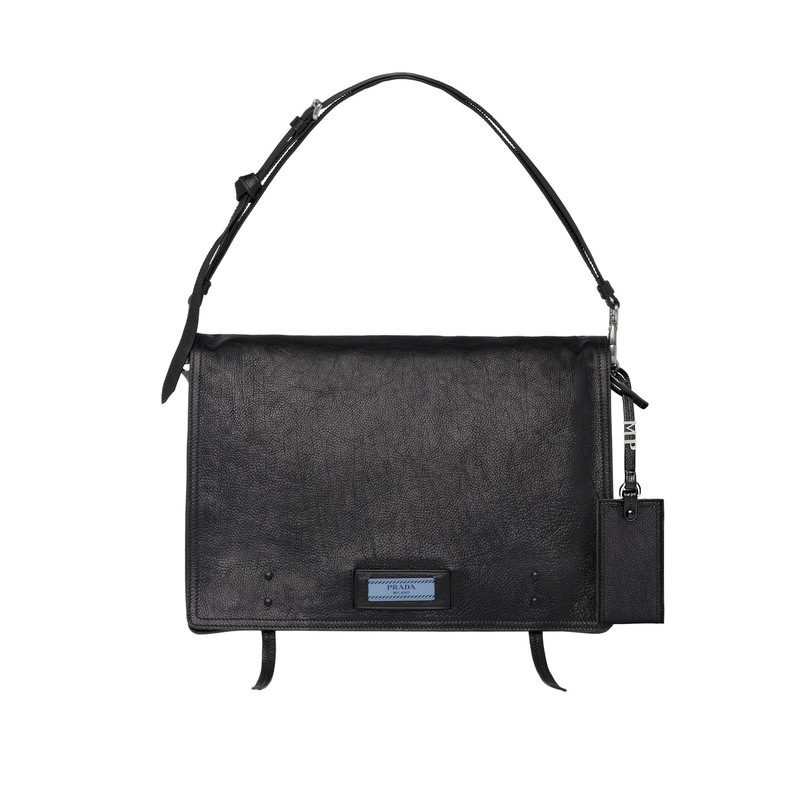 Crafted entirely in calf leather, it can be worn either as a top handle or shoulder bag. 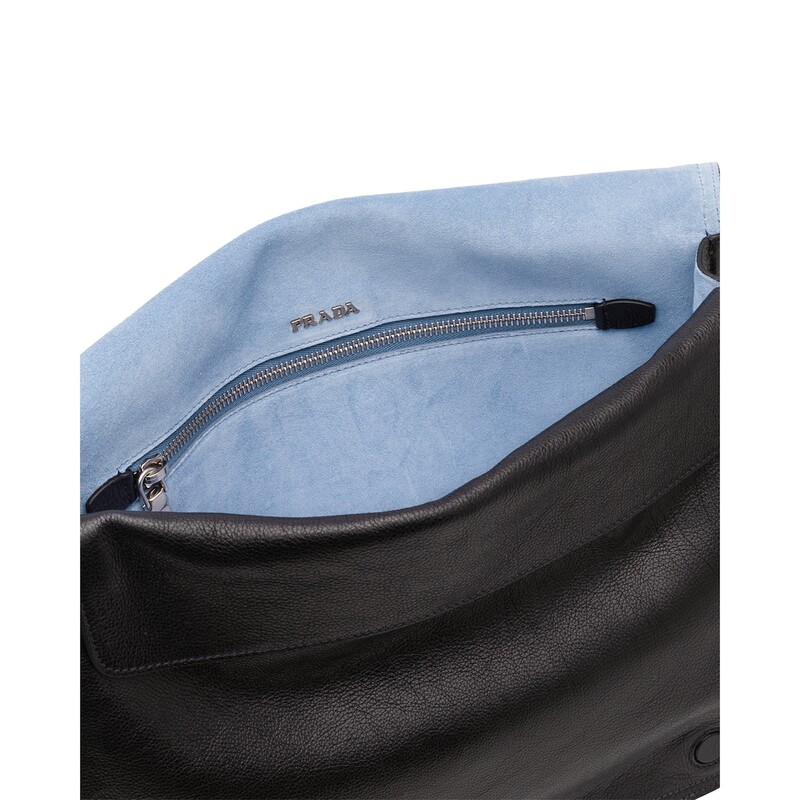 There are two suede lined pockets inside.